We all dream about using an iPhone but with high prices those dreams crush right in front of our eyes. What if there was a way in which you can have an iPhone that you can easily afford? Feeling excited yet? Presenting the new iPhone SE which provides the looks of an iPhone 5S but contains features and technology that has been used in the newer iPhone 6S models. Moreover the trust of the Apple Brand makes iPhone SE irresistible and a must buy if you are looking for a budget phone. As the phones these days are getting bigger and bigger, iPhone SE begs to differ from the common trend and presents you a phone that can easily fit in your hand. iPhone SE’s small size packs a powerful punch in terms of its compact features and a stylish and classy design. Not much has changed from the previous version of iPhone 5S, or as you thought! iPhone SE is on a totally different level from the older 5S model both in terms of performance and display. iPhone SE has a 4 inch retina display supported by a front 1.2 megapixel camera exclusively for taking sefies and a powerful rear 12 megapixels camera that captures photos with ultimate clarity and 4K videos. The live photo feature literally brings images to life! iPhone SE stands out by having the most powerful processor in a small sized phone. Apple’s A9 processor which is a standard issue in the iPhone 6S version provides you a 64 bit desktop like architecture and a high class graphics performance. You can now play any of your favorite games without worrying about phone lag. Powered by the iOS 10 operating system that is known for its user friendly interface, amazing features and a tight end security. Contains a collection of essential apps including the patented Face time and iTunes music. 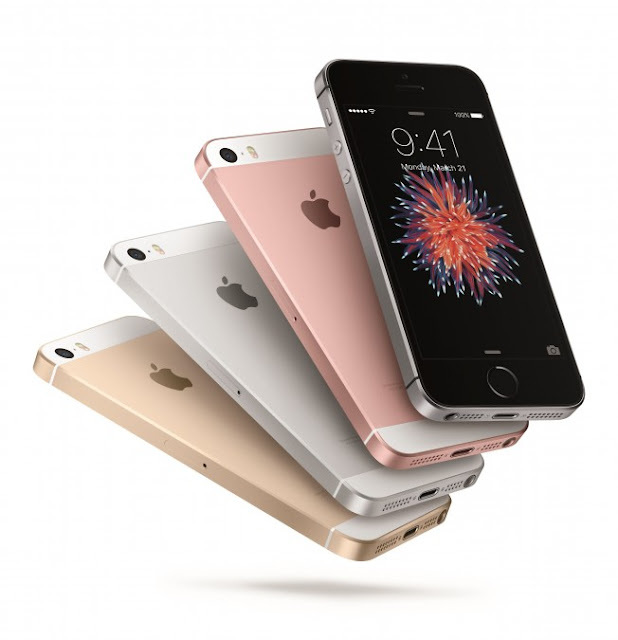 iPhone SE comes in 2 different color variants that is Rose Gold and Gold along with two combinations for the top and bottom of your phone in the form of Space grey and Silver. At the heart of this phone rests a 2GB Ram and a 16 GB memory slot. Apple iPhone 5S also provides you with iCloud support hence you get basically unlimited memory space. iPhone SE gives you the nice nostalgic feeling of using old iPhone models but this time it packs a punch in terms of advanced features and components. The newer iPhones cannot by afforded by everybody and that’s a fact. Keeping this in mind the people from Apple gives you a taste of the iPhone 6S features in the price range of an iPhone 5S! Without a doubt you can say that the cheapest iPhone is the best iPhone till date! With all these excellent features it is the hottest phone in the market as has always been the case with iPhones.